We were very excited to Exhibit for the first time at Natural Product Expo West. 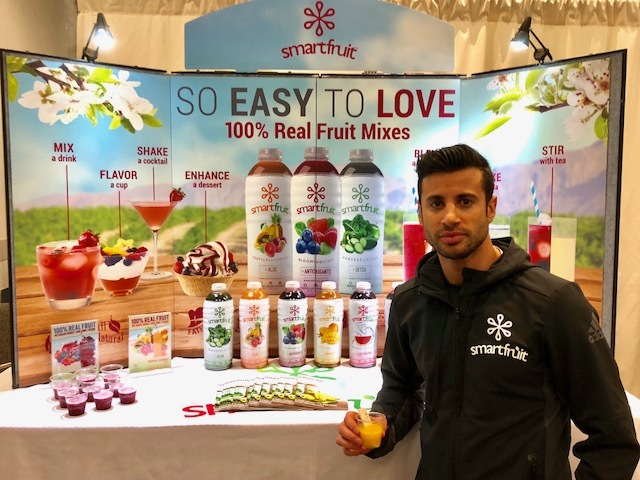 Since inception our prime focus has been the Food Service Industry, but based on the overwhelming reaction we had received from our retailer consumers, we just couldn’t wait to exhibit at Natural Expo East. We were located at Booth #602. The 37th annual Natural Products Expo West & Engredea, the world’s largest natural, organic and healthy products event, experienced another record-setting year playing host to more than 80,000 attendees including industry pioneers and a new generation of innovators shaping the future of healthy products. The show, produced by New Hope Network, was held March 9th-13th at the Anaheim Convention Center and brought together 3,100 exhibiting companies, including more than 500 first-time exhibitors. New Hope Network again expanded the event’s footprint to encompass the entire Anaheim Convention Center campus expanding exhibits into the Anaheim Marriott Hotel for the first time. Producers look forward to hosting exhibits in the newly expanded North Hall at the 2018 event.